As any broker or retailer can tell you, building relationships is critical to successful retail attraction and retail development. 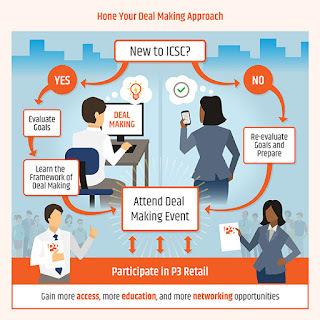 In our experience, attending ICSC Deal Making is among the most effective ways to build relationshped counts anyone?) are invaluable to communities looking to jump start their retail attraction efforts. This is why we – and I say this as a member of the New York Deal Making planning committee – have fought so hard to ensure that members of the public and non-profit sectors are able to gain entry (including ICSC membership) for $395. This is nearly a 60% discount over combined entry and membership. For our public and non-profit sector partners attending Deal Making for the first or second time, this is a great chance to get a feel for the trade room floor, talk up your district with investors and retailers, and gain an understanding of just what it takes to make your experience a productive one. Why is this discount for newbies? Because we have seen that the most productive experiences attending Deal Making come from those who are fully prepared to work the trade show floor – but this preparation doesn’t happen overnight. It often comes after a few years of trial and error and relationship building. The first time for most attendees is frankly overwhelming. This discount is about giving those who have never experienced the trade show floor the opportunity to do so without the initial cost being a significant hurdle to entry. Need help prepping? The communities that get the most out of this trade show known their market, prep adequately, set up meetings in advance, and work the relationships they started at Deal Making all year round. 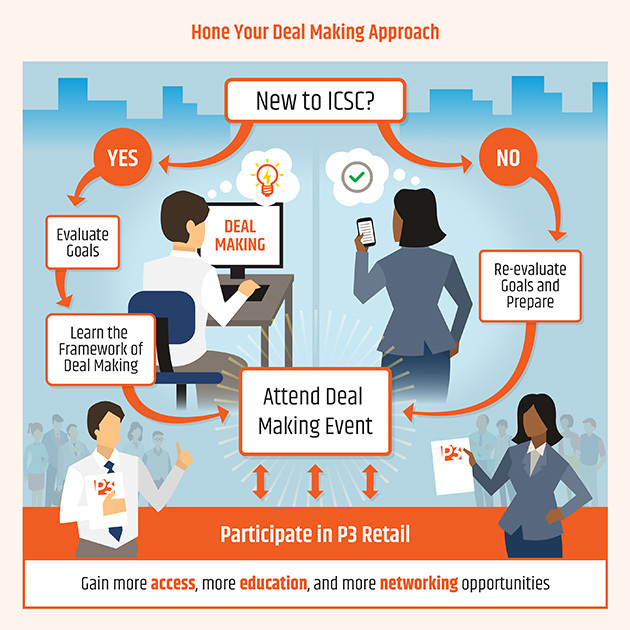 For some good tips and advice on how to hone your Deal Making approach, read this primer prepared by ICSC. LOA also provides coaching and technical assistance to support communities get the most out of ICSC. Feel free to call us for more information. How to Apply. To apply for these limited discounts, please contact Michael Cowden at ICSC (mcowden@icsc.org). For more information on New York National Deal Making, click here.